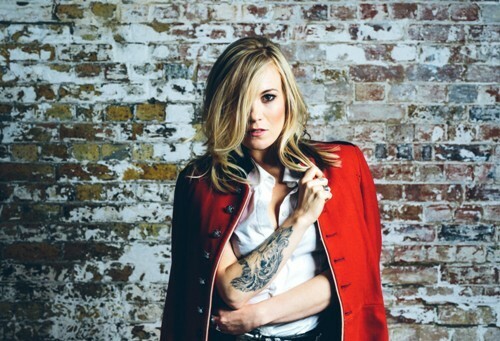 The daughter of Small Faces and Humble Pie singer/guitarist Steve Marriott is marking the release of her debut album by supporting rock band Bad Touch on their UK tour. 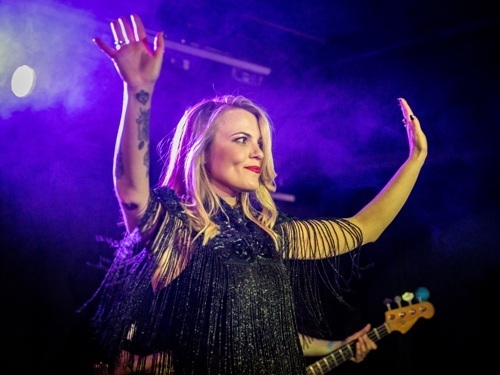 Mollie Marriott, who is also singer Joe Brown's step-daughter, will perform tracks from her Truth Is A Wolf album, released on November 3, 2017, at venues all over the country, beginning with Corporation in Sheffield on November 9. Mollie reveals that Control, the first single taken from the album, means a lot to her. "Control is all about taking back control of my music," says Mollie. "It was important, so this was the right single to start with. I'm in the driver's seat going where I want to go. I co-wrote the song with SamTanner, lead vocalist with Brother Strut. We knew right from the beginning Control was the perfect song to release as the first single from the new album." Mollie, whose musical style has been likened to Sheryl Crow, Stevie Nicks and Bonnie Raitt, began writing the album in Nashville. She has fond memories of the recording process, especially as Paul Weller appears on two tracks, Truth Is A Wolf and King Of Hearts. ''Truth Is A Wolf was written by Gary Nicholson and he was going to give it to Bonnie Raitt or Susan Tedeschi – two artists who are big influences to me. I heard the demo and thought it summed up my album. It was the perfect title song. "A lot of the songs reflect my life. Broken is all about ending a relationship and the effect that had on me and my daughter. It's a rock album, but there are also elements of gospel and country. It's grungy, too. I am a grunge girl. I love Chris Cornell and Pearl Jam. Alanis Morrissette's Jagged Little Pill is a favourite album of mine, and also a big influence." Mollie has previously spent her music career working as a backing singer with numerous artists, including Oasis and her stepfather Joe Brown who married Mollie's mum, Manon Pearcey, in 2000. In 2001 Mollie sang backing vocals at the London Astoria Memorial Concert for her father, Steve Marriott, performing alongside Paul Weller, Zak Starkey and Deborah Bonham. In 2004 she performed at Ronnie Lane's Memorial Concert at the Royal Albert Hall with Dean Rees, Steve Ellis and Ronnie Wood. 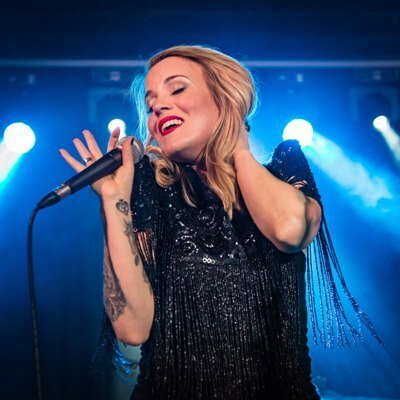 In 2015, Mollie shared the stage with The Who, Mick Huckall, and Jeff Beck and sang backing vocals at The Faces Reunion Concert. In October 2016, she sang alongside with Robert Plant, Van Morrison, Mark Knopfler and Imelda May to celebrate Bill Wyman's 80th birthday. Steve Marriott died in a fire in 1991 after successful and memorable stints in the Small Faces and Humble Pie. The story of the Small Faces was immortalised on stage in the production All or Nothing. Dec 2: Talking Heads, Southampton.